The Miami CTSI received the Clinical and Translational Science Award (CTSA) in 2012 from two NIH Institutes, the National Center for Advancing Translational Sciences and the National Institute on Minority Health and Health Disparities. We are a part of a national consortium of major academic medical research institutions located throughout the United States. 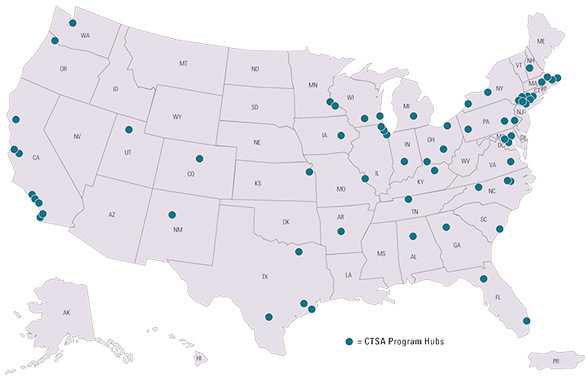 The goal of the consortium is for CTSA institutions to work together to transform the local, regional, and national environment to increase the efficiency and speed of clinical and translational research across the country.